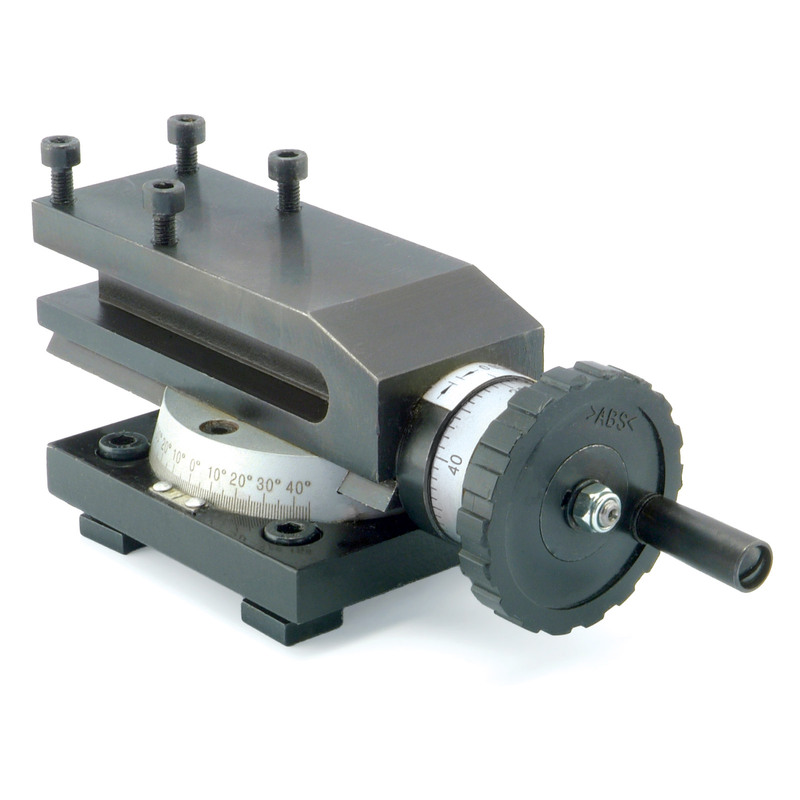 Compound Tool Rest for MicroLux® Micro Lathe mounts to cross slide with provided hardware. Handwheel has .02mm graduations. Head rotates up to 45 degrees left and right of center. Holds tool bits with shank size up to 3/8 inch...both parallel and perpendicular to the feed screw.